Scale: 1:16. 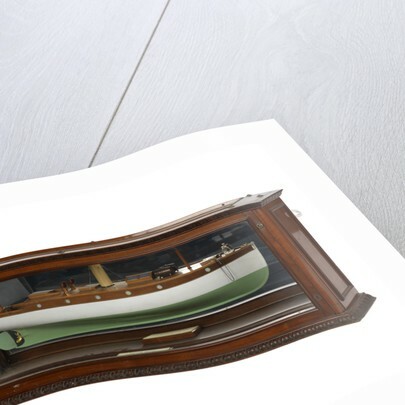 A half block model depicting the starboard side of a motor yacht made almost entirely of wood with gold or silver plated fittings. 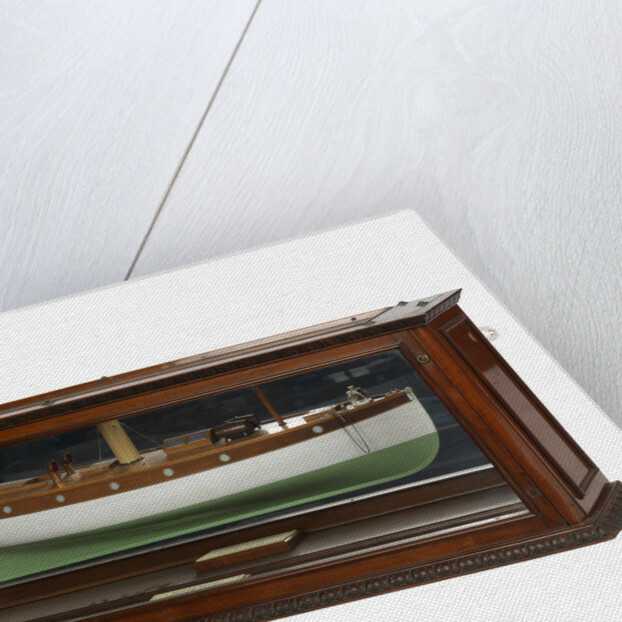 The hull is painted in olive green below the waterline, white above the waterline, and has a natural wood finish to the topsides to deck level. The bow is curved with a plumb stem whilst the stern finishes in a flat transom with a single propeller and rudder secured to a skeg below. The deck is made from varnished natural wood and fittings include an anchor, a winch, two accommodation hatches, two stump masts, a wooden water barrel on crutches, a single rectangular skylight, a single stayed funnel painted light brown, and a pair of brass ventilation cowlings with the hoods painted red internally. At the stern is a small cockpit area fitted with a steering wheel, seating, floor gratings and a single stump mast. The deck has the planking lined in black ink and is complete with a cleat, mooring bollards and a fairlead. The accommodation below is lit by six portholes and access is by a set of stairs and doors with a sliding hatch cover in the cockpit at the stern. 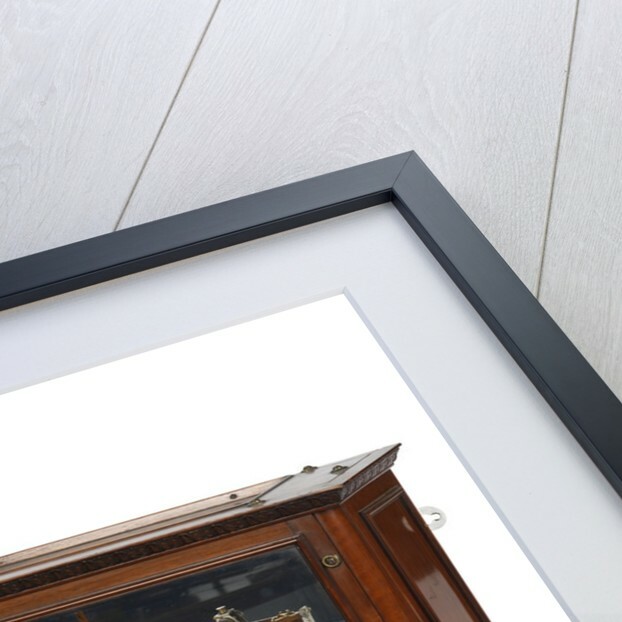 The whole model is mounted on a silver surfaced mirror with angled mirrors at each end, all of which are displayed in a glazed mahogany case. 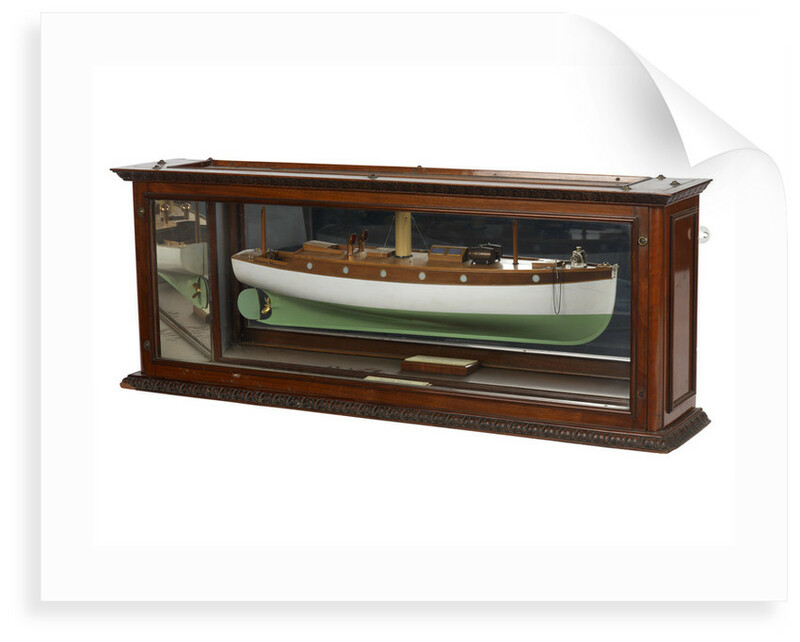 On the base of the case is an ivory plaque inscribed: 'Motor Yacht. 34 ' - 0" x 7' - 7" x 5' - 4" Scale 3/4 " = 1 FT. Designed by C.L' Estrange. Ewen. 45 Hope St. Glasgow'.